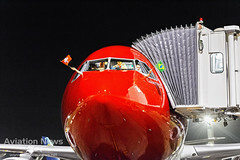 Athletes, officials and fans traveling to the 2016 Summer Games via Rio de Janeiro’s main airport, Galeão-Tom Jobim International Airport, will enjoy an improved travel experience when they arrive. The airport recently implemented a number of Rockwell Collins airport operational solutions to better handle the influx of passengers and aircraft arriving for the 2016 games. The Rockwell Collins solutions are part of a $2 billion program focused on renovating and expanding the airport prior to the start of the games. The airport has implemented several key systems to improve airport operations, alleviating aircraft congestion at gates and improving on-time departure and arrival rates. Other key improvements include a new digital signage system that keeps passengers informed and moving through the airport. Rockwell Collins’ airport systems management organization, ARINC Managed Services, is responsible for the on-site maintenance and support of all the systems. RIOgaleão announced last week that the airport continues with process to migrate the international airlines to the Terminal 2 (T2). Last Sunday (10), Alitalia has been transferred to T2, the check-in area of the Italian airline which has daily flights between Rio de Janeiro and Rome started to be realized in the T2, as well the disembark of its passengers. 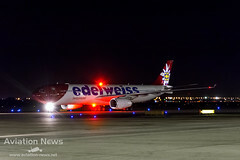 The migration of the international airlines to Terminal 2 started on March 28th, 2016 with the migration of the German airline Condor. RIOgaleão expects to conclude the process until the Summer Olympics 2016. This change is part of a huge transformation process that it is occurring at Tom Jobim International Airport, which includes the opening of a boarding area with 100 thousand square meters, 26 new boarding bridge, and a new commercial area. The new pier will be used mainly for the international flights. By 2017, the processing of domestic and international passengers (check-in and baggage drop-off) will be concentrated in Terminal 2, and then the flow of passengers will be distributed to the 58 boarding bridges in the own terminal 2, the terminal 1 or south pier. Changes will be made and communicated in phases. No dia 7 de outubro, o RIOgaleão participa do Seminário Airport City & Real Estate com o painel “VITRINE RIOGALEÃO: Oportunidades de Negócios”, em São Paulo. Na ocasião, o diretor comercial da concessionária, Sandro Fernandes, falará sobre o desenvolvimento do Aeroporto Internacional Tom Jobim e do potencial do aeroporto como polo gerador de empregos e negócios. O evento abordará as possibilidades de investimentos nos aeroportos do País com o objetivo de explorar as oportunidades no entorno do complexo aeroportuário, apresentando cases de sucesso e sugestões para a utilização de áreas comerciais, industriais, turísticas e de negócios. Com previsão de entrega para abril de 2016, a construção do Píer Sul do RIOgaleão está a todo vapor. O novo prédio, de mais de 100.000 m², já ganhou forma e está recebendo seus equipamentos essenciais. O Consórcio Construtor já recebeu o primeiro lote das 26 novas pontes de embarque fabricadas na Espanha e iniciou a instalação das duas que possuem especificações para acomodar aeronaves do código F (A-380 e 747-8), as maiores do mundo. O consórcio já começou a preparar o caminho por onde passarão as 14 esteiras rolantes que ajudarão no transporte dos passageiros entre o Píer e o Terminal de Passageiros 2. A primeira, com 50 metros de comprimento, será instalada já em setembro. Do lado de fora, os resultados também são visíveis. Quem passa pela Avenida 20 de Janeiro consegue ver a fachada do prédio sendo montada. Será uma estrutura de cerca de 25 mil m² de vidro e alumínio. O Píer ganhará também novos banheiros e fraldários, elevadores e escadas rolantes. Gently upswept wings, high-tech wingtips, the saw-tooth pattern on the trailing edges of the jet engine nozzles – as every United Airlines user knows these are the distinguishing features of the Boeing 787-9. In terms of noise emissions and fuel efficiency, the aircraft offers significant reductions. The 787-8 incorporates countless innovations that are designed to make flying even more environmentally compatible and, above all, quieter. But that is not all. New aluminium alloys and composite materials, which are lighter in weight and more durable than the materials previously used in aircraft construction, were incorporated into the 787-9. The redesigned wings with their state-of-the art profile and raked wingtips improve aerodynamics and thus save fuel. In terms of its capacity, range and operating costs, the 787-9 is a very economical aircraft. Customers will also be thrilled to discover a host of innovations aboard in the aircraft. Yesterday, United Airlines introduced the Boeing 787-9 Dreamliner in Houston – Rio de Janeiro route. The modern aircraft is being operating in daily basis between the two cities. The Dreamliner will operate flights until March 27th, 2016. The class has 36 seats in a 2-2-2 configuration. Without much effort, the seat converts into a flat bed. The main characteristics of the class are: 15.4-inch video monitor, amenity kit, complimentary duvet and pillow for use during your flight, complimentary newspapers, iPod connect, intuitive remote controls, more than 150 hours of on-demand entertainment, noise-reducing headsets, power outlet and USB port. The window size increased significantly, over 30% higher than other commercial aircraft (48 × 28 cm), there is a button that adjusts the brightness of the window, pressing in the white part the window glass becomes clear and pressing in the black button the window glass becomes dark. It is all part of an electrodynamics system developed by Boeing engineers. The class has 70 seats in a 3-3-3 seat configuration, the seat also offer a 6 inches of recline. Spacious seating available in Economy Plus offering up to 5 inches of additional legroom. In-seat power outlets are available in every row. There are four air conditioning vents per row, which is double the amount in a conventional aircraft. LED lighting illuminates the cabin gently, creating a more relaxing experience. The class has 113 seats in a 3-3-3 seat configuration. Every seat has a power outlet and offers five inches of recline. Storage bins are the biggest in the industry – 30 percent larger than those on a 777. The 787-9 has a cabin altitude of 6,000 feet, compared to 8,000 feet for a typical aircraft. Altitude chamber tests show that because the body absorbs 8 percent more oxygen into the blood at this altitude, customers are less likely to experience headaches and fatigue. Counting with a state-of-art cockpit, the most advanced aeronautic technology is here. The cabin count with five primary big screens and two lateral adjacent screens (one for each pilot), except the smaller screens of the other central equipment. A 787-8 has fewer primary display screens but significantly more primary display space. The displays are more flexible, allowing pilots to configure displays to their preferences. The cockpit features a dual head up displays (HUDs), a small transparent screen that drops down in front of the pilots in order to improve visibility during difficult flying conditions while providing essential flight information. The 787-9 is powered by General Electric high-bypass-ratio engines. 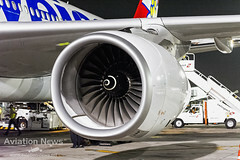 The engines share a common core with the 787-9 and feature composite fan blades and a composite fan case; a low-emissions combustor; and a virtually maintenance-free fan module. 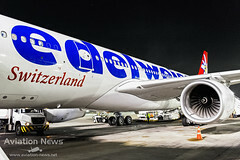 There is a very interesting point in the engines, the saw-tooth pattern on the trailing edges of the jet engine nozzles. These so-called chevron nozzles enhance the mixing rate of the turbulent shear layer, i.e. the layer of air between the hot, fast-moving exhaust gas stream from the interior of the engine and the cold secondary air that flows around the engine core. Chevron nozzles help to significantly reduce pressure fluctuations and thus jet noise. In the case of GEnx engines, the saw-tooth concept is also applied to the outer trailing edge in order to reduce the noise emissions generated there. The 787-9 has sensors that identify the change of wind speed and controls the change in a mini-flap on the end of the main flap, without intervention from the pilot. It automatically compensates for changes in lift and reduces the effect of turbulence. Advanced technology airfoils for improved overall performance and greater fuel capacity. Fly-by-wire spoilers and outboard ailerons to save weight. Double-slotted inboard and single-slotted outboard flaps to improve low-speed performance and noise. Advanced-technology raked tip to reduce cruise drag. Aileron droop to reduce noise and provide improved low-speed performance. Redesigned flap tracks with optimized flap-track fairings to improve low-speed performance and noise. Redesigned Krueger flaps with gapped configuration to improve low-speed performance. Why fly in the Boeing 787-9 Dreamliner? With the introduction of the Boeing 787-9 Dreamliner to Rio de Janeiro, United Airlines not only introduced the aircraft to Rio de Janeiro, but also for Brazil. 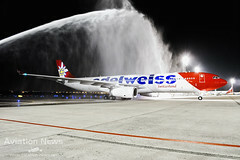 The landing has marked the beginning of the 787-9 operations to the country. The Dreamliner incorporates state-of-art technologies to make the flight smooth and pleasant for the passengers, the aircraft also provides an efficient fuel consumption. The 787 is an eco-friendly aircraft. United Airlines has highlighted its leadership again in the market with the introduction of the aircraft to the marvelous city. Since April, Sao Paulo is receiving daily flights of the Boeing 787-8 Dreamliner also coming from Houston. Asas niveladas, winglets desenvolvidos com alta tecnologia, o padrão de dente de serra nas bordas dos motores – como todo fã da United Airlines sabe, estas são as características distintivas do Boeing 787. Em termos de emissões de ruído e consumo de combustível, a aeronave oferece reduções significativas. O 787-8 incorpora inúmeras inovações que o tornam mais ecologicamente correto e, acima de tudo, silencioso. Mas isso não é tudo. Novas ligas de alumínio e materiais compostos, são mais leves e mais duráveis do que os materiais anteriormente utilizados na construção de aeronaves, foram incorporados ao 787. As asas redesenhadas e novos winglets melhoraram a aerodinâmica e, assim, economizam combustível. Em termos de seus custos, de capacidade, de alcance e operacionais, o 787 é um avião muito econômico. Os passageiros também são surpreendidos ao descobrir uma série de inovações a bordo na aeronave. Ontem, a United Airlines introduziu o Boeing 787-9 Dreamliner na rota Houston – Rio de Janeiro. A moderna aeronave está sendo operada em base diária entre as duas cidades. O Dreamliner irá operar os voos até 27 de março de 2016. A classe apresenta 36 assentos em uma configuração 2-2-2. Sem muito esforço, o assento se converte em uma flat-bed. As principais características da classe são: amenity kit, cobertor e travesseiro complementários, conector para iPod, controle de assento e remoto intuitivo, fones com cancelamento de ruído, jornais complementários, mais de 150 horas de entretenimento on-demand, porta USB, tela de 15,4 polegadas e tomada elétrica. O tamanho da janela aumentou bastante. Trinta por cento maior que os demais aviões comerciais (48×28 cm), um botão regula o brilho da janela e apertando-o na parte branca a janela clareia e apertando-o na parte preta a janela escure. Tudo isso faz parte de um sistema eletrodinâmico desenvolvido pelos engenheiros da Boeing. Possuindo 70 poltronas em uma configuração 3-3-3, o assento oferece uma reclinação de seis polegadas. Espaçosos assentos disponíveis na Economy Plus oferecem até 5 centímetros a mais de espaço para as pernas. Todos os assentos também possuem tomada elétrica. Há quatro saídas de ar condicionado por fileira, o que é o dobro da quantidade em uma aeronave convencional. Lâmpadas de LED iluminam a cabine suavemente, criando uma experiência mais relaxante. A classe oferece 113 assentos dispostos em uma configuração 3-3-3. Todos contam com uma tomada elétrica e reclinam até cinco polegadas. Os compartimentos de bagagem também são os maiores da indústria – trinta por cento maior do que um compartimento do 777. O 787 tem uma altitude de cabine de 6.000 pés, em comparação com 8.000 pés para uma aeronave típica. Testes em câmaras de altitude mostram que, o corpo absorve 8 por cento mais oxigênio para o sangue a esta altitude, desta forma os passageiros são menos propensos a sentir dores de cabeça e fadiga. Contando com uma cockpit no estado-da-arte, o que existe de mais avançado em tecnologia aeronáutica está aqui. A cabine conta com cinco telas grandes principais, duas adjacentes laterais (uma para cada piloto), fora as menores dos equipamentos centrais. Um 787-9 tem menos telas de exibição primárias mas possui mais espaço na tela de exibição primária. As telas são mais flexíveis, permitindo aos pilotos configurarem de acordo com suas preferências. A cabine dispõe de dois Head Up Displays (HUD), uma pequena tela transparente que desce na frente dos pilotos, a fim de melhorar a visibilidade em condições de voo difíceis ao fornecer a informação essencial de voo. O 787-9 está equipado com motores turbofan General Electric com alta taxa de fluxo. Estes motores compartilham um núcleo comum e possuem as pás do ventilador e a carenagem feitas de compósitos; um combustor de baixas emissões de gases poluentes, e um módulo de ventilador praticamente livre de manutenção. O padrão de dentes de serra nos bocais dos motores. Estes bocais chamados de Chevron aumentam a taxa de mistura das camadas cisalhantes turbulentas, ou seja, a camada de ar entre o fluxo de gás de exaustão que se move rápido e quente vindo do interior do motor e o ar frio secundário que flui em torno do centro do motor. Os bocais chevron ajudam a reduzir significativamente as flutuações de pressão e então o ruído do jato. No caso dos motores GEnx o conceito dentes de serra é também aplicado na parte externa do motor a fim de reduzir as emissões de ruído lá geradas. A asa do 787-9 possui sensores que identificam a mudança da velocidade do vento e comanda a mudança de um mini-flap na ponta do flap principal, sem a intervenção do piloto. Ele compensa automaticamente as mudanças na sustentação e diminuem o efeito sobe-e-desce da turbulência. Aerofólios com tecnologia avançada para melhorar o desempenho geral e uma maior capacidade de combustível. Spoilers com controle fly-by-wire e ailerons de popa para poupar peso. Dupla fenda no interior e uma no exterior dos flaps para melhorar o desempenho em baixas velocidades e reduzir o ruído. Tecnologia avançada nos winglets para reduzir o arrasto durante o voo de cruzeiro. Inclinação do aileron para reduzir o ruído e proporcionar melhor desempenho a baixas velocidades. Dobradiças do flap redesenhadas para melhorar o desempenho a baixas velocidades e reduzir o ruído. Krueger flap redesenhado com folga para melhorar o desempenho a baixas velocidades e reduzir o ruído. Por que voar no Boeing 787-9 Dreamliner? Mais de 50% da fuselagem é feita por materiais compostos principalmente fibra de carbono e plástico, reduzindo assim o uso de materiais mais poluentes ao meio ambiente e mantendo a mesma segurança do voo em relação a fuselagem convencional. O percentual certo de materiais utilizados, 50% de material composto, 20% de alumínio, 15% de titânio, 10% de aço e 5% de outros materiais traz estas vantagens. Redução de 10% do custo por assento/milha. Com a introdução do Boeing 787-9 Dreamliner para o Rio de Janeiro, a United Airlines não só introduziu a aeronave para o Rio de Janeiro, mas também para o Brasil. O pouso do 787-9 marcou o início das operações da aeronave para o país. O Dreamliner incorpora tecnologias de ponta para tornar o voo mais suave e agradável, a aeronave também oferece um eficiente consumo de combustível, o 787 é uma aeronave amiga do meio ambiente. A United Airlines se destacou mais uma vez no mercado com a introdução da aeronave. São Paulo já recebe desde abril o Boeing 787-8 Dreamliner diariamente vindo também de Houston. A menos de um ano dos Jogos Olímpicos e prestes a completar um ano à frente da operação do Aeroporto Internacional Tom Jobim – marco que será atingido amanhã (12/8) – o RIOgaleão, empresa que tem como sócias privadas a Odebrecht TransPort e a Changi Airports International, alcança 60% de avanço físico das obras de melhoria de infraestrutura do aeroporto. Com investimento de R$ 2 bilhões até abril de 2016, o projeto inclui a construção do Píer Sul, com 100.000 m², que terá 26 novas pontes de embarque, novos banheiros e fraldários, duplicando a área de Duty Free para 8.000 m2, além de 14 esteiras rolantes, 14 elevadores, seis escadas rolantes e cerca de 6 mil m² dedicados a salas Vips. Três entre as 26 novas pontes de embarque contarão com especificações técnicas para acomodar aeronaves do código F, consideradas as maiores do mundo (A-380 e 747-8). O RIOgaleão foi o primeiro aeroporto do Brasil a receber autorização da ANAC para pouso e decolagem do A-380. No terminal 2, serão inaugurados 12 pórticos de raio-x, 12 elevadores e 15 escadas rolantes. Ao final das obras, serão aproximadamente 30 mil m² destinados a novos estabelecimentos comerciais no píer e no terminal 2. A concessionária também concluirá a revitalização e automatização dos sistemas de energia, ar-condicionado e sinalização. Um novo sistema de sonorização, totalmente digital, estará completamente implantado até o fim deste ano. Além disso, serão substituídas todas as 32 pontes de embarque de passageiros existentes hoje nos terminais 1 e 2. Os novos equipamentos começarão a ser instalados em outubro desse ano e estarão em plena operação antes dos Jogos Olímpicos. Um novo Centro de Controle Operacional contará com modernos sistemas de gerenciamento aeroportuário e concentrará todos os envolvidos na operação do aeroporto. As obras de melhorias incluem, ainda, o edifício-garagem com acesso direto ao terminal 2, que terá sete andares e 2.700 novas vagas, com sistema de informação automatizada sobre a disponibilidade em cada um dos andares. “Sabemos que ainda há muito trabalho pela frente, nestes 25 anos de concessão, para sermos o aeroporto que o Rio de Janeiro merece, mas temos a satisfação de constatar que a percepção dos passageiros começa a refletir as melhorias implementadas. Nosso objetivo é continuar melhorando a experiência de todos os passageiros, visitantes e integrantes que trabalham aqui e recuperar o orgulho do carioca pelo seu aeroporto. Estamos tranquilos que nossa operação estará preparada para receber os Jogos Olímpicos com a qualidade compatível com os aeroportos de todo o mundo.”, afirma Luiz Rocha, presidente da concessionária RIOgaleão. Na pesquisa trimestral realizada pela Secretaria de Aviação Civil (SAC), o RIOgaleão – Aeroporto Internacional Tom Jobim, subiu quatro posições e passou do 13º para o 9º lugar, com pontuação recorde de 4,13 numa escala de 1 a 5, mesmo com as obras em andamento. Em um ano de operação, a concessionária já inaugurou 33 novas posições de check-in e mais de 60 novos serviços de alimentação e varejo, além de melhorar o funcionamento de escadas rolantes e elevadores. Hoje, o RIOgaleão abre ao público as seis esteiras rolantes do conector, que ligam o terminal 1 ao terminal 2. A obra foi iniciada pela concessionária em maio e as três primeiras esteiras rolantes foram inauguradas ainda no mês de junho, com a finalização do processo em apenas três meses, proporcionando aos passageiros mais conforto e agilidade em seus deslocamentos. Os investimentos e compromissos assumidos pela concessionária permitiram a obtenção do certificado operacional definitivo, concedido pela Agência Nacional de Aviação Civil (ANAC) e o alfandegamento, liberado em definitivo pela Receita Federal. Ambos atestam que o aeroporto está atuando de acordo com as normas internacionais de segurança operacional. A concessionária também já iniciou as reformas dos terminais de importação e exportação, galpões e escritórios, além da aquisição de novos equipamentos e adoção de novos processos e procedimentos na armazenagem e movimentação das cargas. Esses investimentos em curso já proporcionaram uma redução de 20% no tempo médio de liberação de cargas, um ganho de extremo benefício para os clientes. O RIOgaleão Cargo é uma plataforma logística multimodal e de localização estratégica situado a 17 km do Porto do Rio de Janeiro e conectado às principais rodovias do Brasil. O terminal de cargas do aeroporto conta com uma pista de 4 mil metros – a mais longa do Brasil – e nove posições dedicadas a cargueiros, que podem operar 24 horas por dia, sem restrições de capacidade ou de horário para pousos.